Bitcoin has slipped below $7,000 for the first time in three weeks as the number one cryptocurrency has failed to gather any post-weekend momentum. Altcoins are also experiencing significant 24 hours trading declines as the week starts of on a sluggish note. The top-ranked cryptocurrency has been unable to stay above the critical $7,200 support level. 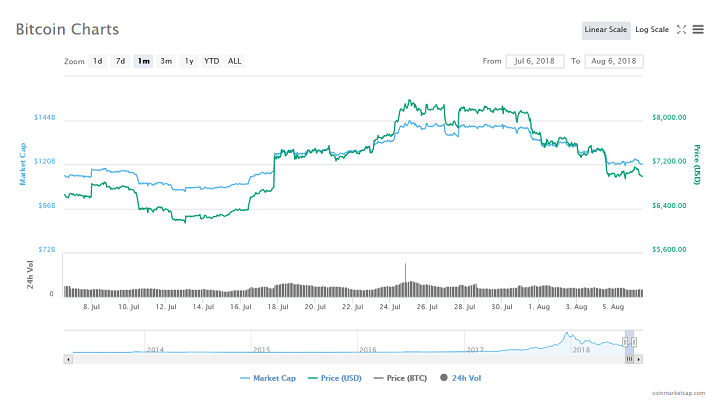 BTC is now trading below $7,000 for the first time since mid-July 2018. Today’s dip is consistent with the struggles of BTC and the market in general since the start of August. Most of the gains made during the previous month have been eroded by a sluggish performance across the board in August. Today’s dip puts BTC’s year-to-date (YTD) decline at 60 percent. At press time, the top-ranked cryptocurrency was trading at $6989.36 having dropped 0.77 percent within the last 24 hours of trading. Bitcoin and the cryptocurrency market appear quite vulnerable early in August. Supply, demand and price indications remain negative. Last week, Ethereum World News reported that BTC needed to hold on the $7,200 support level or risk falling below $7,000. At the onset of the July price rally, while many experts proclaimed it was the start of a sustained bull run, Arthur Hayes of Bitmex opined that it was only a temporary squeeze. Hayes also went on to say that BTC must test $5,000 before any bull run can begin. Apart from Bitcoin, other cryptocurrencies are also experiencing significant dips. Among the top ten coins, MIOTA, XLM, and XRP are leading the losers pack. Those three coins have declines 3.5, 1.85, and 1.02 percent respectively. Do you think Bitcoin will test $5,000 in this latest decline? What is your end of August BTC price forecast? Keep the conversation going in the comment section below. 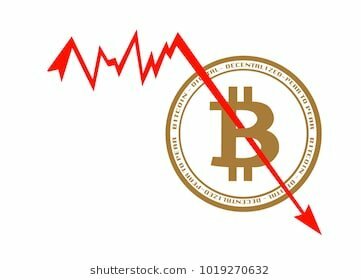 The post Bitcoin Price Drops to Three Week Low as Altcoin Market Takes a Hit appeared first on Ethereum World News.